Republican leaders in the U.S. House of Representatives have unveiled proposed legislation to repeal and replace the Affordable Care Act, which, among several tax cuts, will eliminate permanently the 2.3 percent excise tax on medical devices and products. The device tax has been suspended since December 2015, but GOP lawmakers and industry lobbyists have been pushing for a permanent repeal of a tax that they claim is detrimental to U.S. medtech innovation, as well as a jobs killer. A House of Representatives bill seeking to fully repeal the tax was filed in January. Unveiled this week, the replacement of Obamacare known as the American Health Care Act (AHCA), will likely achieve the full repeal, beginning Jan. 1, 2018, according to RAPS. The bill would repeal nearly all Obamacare taxes that would have cost health insurance firms, medical device makers, and other healthcare companies tens of billions of dollars over the next decade, reports The Washington Post. Repealing the medical device tax alone will save manufacturers about $20 billion between 2017 and 2026, according to an analysis by the Joint Committee on Taxation. 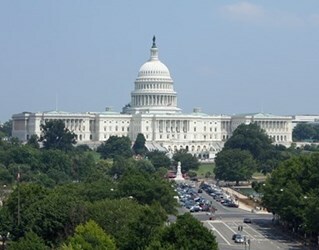 Medtech industry trade group AdvaMed welcomed the introduction of the bill to undo the medical device tax, which the group states has cost 29,000 U.S. jobs, citing data from the U.S. Commerce Department. Conversely, the association says permanent tax repeal will add 53,000 jobs, according to an analysis by the American Action Forum. "Repealing the tax will provide medical technology innovators with the long-term certainty necessary to support future job growth and sustainable, cutting-edge R&D that will ultimately lead to the next generation of breakthroughs in patient care and treatment. We urge the House and Senate to act expeditiously to pass this important legislation,” stated AdvaMed President and CEO Scott Whitaker. If the American Health Care Act – which actually consists of two budget reconciliation bills – is passed by the House Ways and Means committee and the Energy and Commerce committee, it will be consolidated by the House Budget Committee. The measure then will be sent to the House Rules Committee, and then to the full House for a vote, according to Health Affairs.